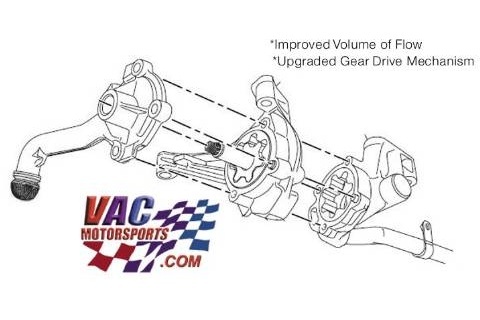 VAC Competition Dual Pickup Oil Pump for Road Race, Autocross, Time Attack, Drift, Hill Climb, Rally, Drag Race, Roll Race & Forced induction engines! 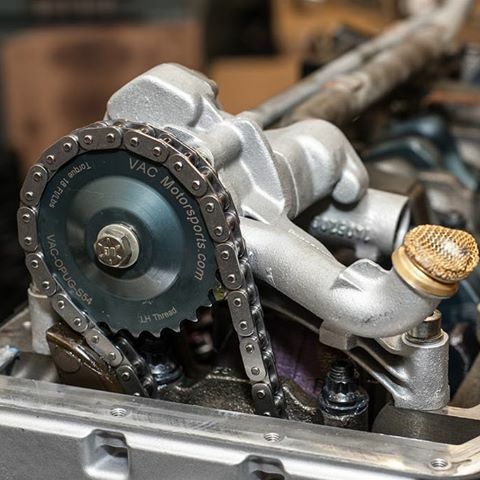 This pump is engineered with our famous Oil Pump Upgrade kit integrated in its design; this means a stronger gear drive mechanism for much lower likelihood of pump failures on the track. An excellent upgrade for Road Race, Autocross, Time Attack, Drift, Hill Climb, Rally, Drag Race, Roll Race & forced induction applications. Lubrication issues are a common killer of BMW engines. The dual-pickup pump is much better than standard single pickup, but this pump is a dramatic improvement over both. Please contact us with all your questions & concerns!